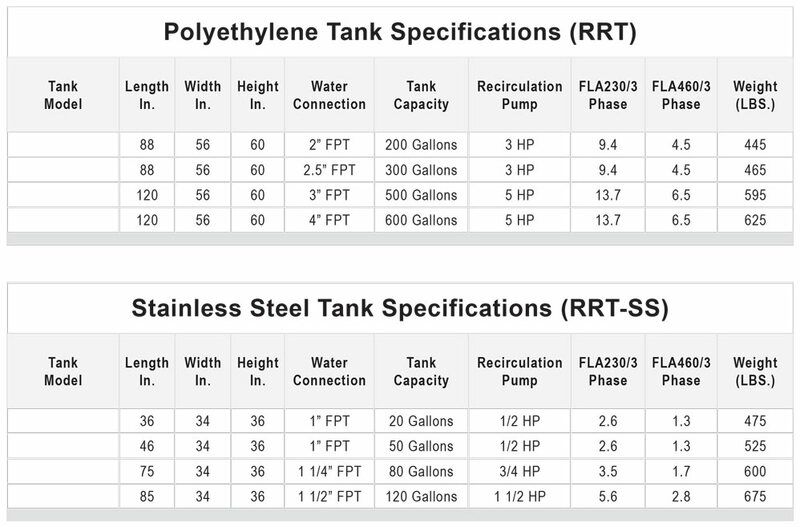 RRT and RST outdoor rated external tank / pump packages ranging from 30 to 600 U.S. Gallons. Custom tank / pump packages up to 1200 U.S. Gallons. These systems are ideal for use with the PZA and PZW package chillers as well as a variety of custom applications that require additional system fluid volume.